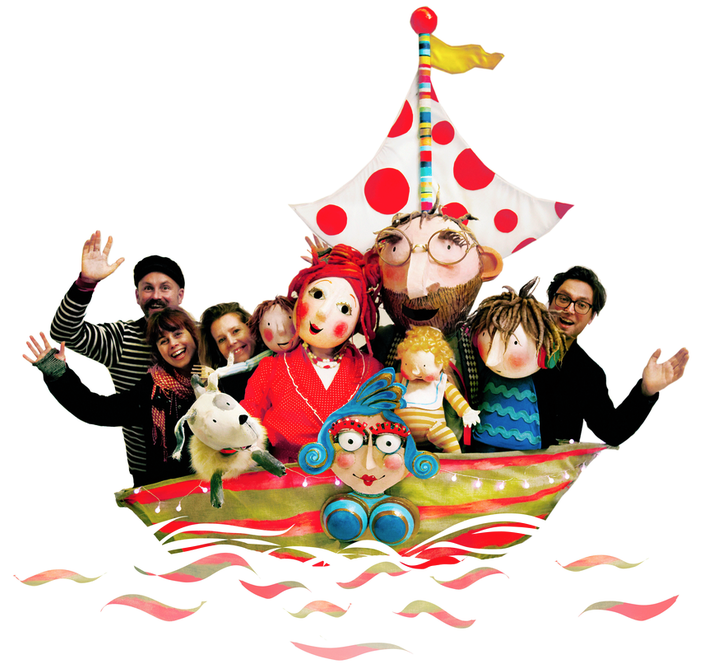 Since launching in 2006 we have produced four much loved and critically acclaimed puppets shows for children. We launched in our home town Brighton with ​our first show Shoe Baby and were delighted to win the award for Best Children’s Show at Brighton Fringe Festival. Shoe Baby then went on to have sell out shows across the UK, gaining many five star reviews at The Edinburgh Fringe Festival. We were also invited to perform Shoe Baby a Downing Street as part of Gorden Brown’s Christmas celebrations. In 2013 Arthur's Dream Boat was filmed by the BBC for Scottish Book Trust. Also in 2013 we were thrilled to perform Arthur’s Dream Boat at The National Gallery for their first ever children’s festival. 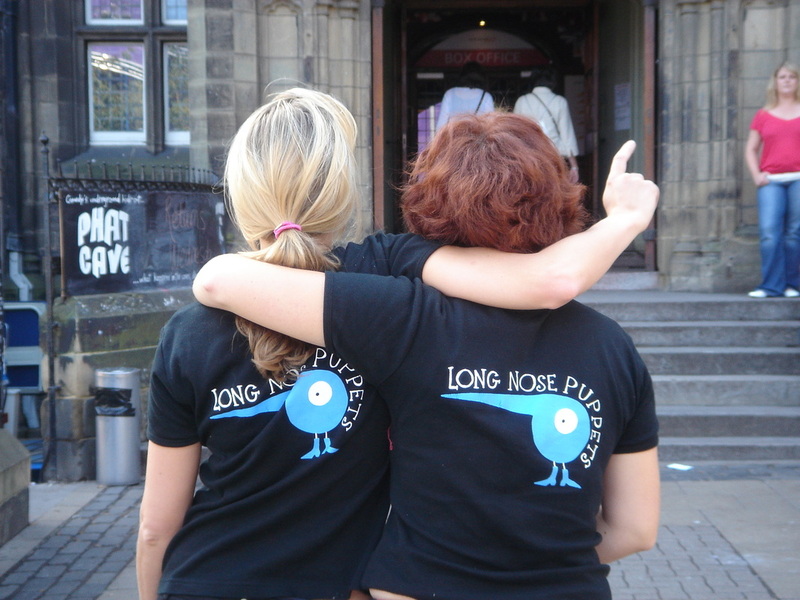 Long Nose was co-founded in 2006 by Katherine Morton and Polly Dunbar; they studied illustration at Brighton University where they often worked together creating characters and stories. Katherine and Polly make the puppets out of anything and everything: latex, wood, found objects, socks, old umbrellas and the odd lampshade. The puppets range in size from handheld rod puppets to full body costumes. Polly Dunbar is a well known children’s author and illustrator best know for her books Penguin and the Tilly and Friends series. Long Nose is unique in that Polly has a completely hands on roll in devising the shows and making the puppets, therefore the final productions are as close to the books as is possible. Polly is the daughter of Joyce Dunbar who wrote Shoe Baby and Pat A Cake Baby. Our music is composed by Tom Gray of the band Gomez. Tom also co-composed the music for the Cbeebies series based on Polly’s books Tilly and Friends. Ant Morton, actor and puppeteer is part of our creative team, he helps devise the shows and breathes life in to the puppets through skilled movement and humour. Ant takes the puppets out on the road along with our team of talented puppeteers. and childhood mememories, often the audinces know the songs word for word. In 2016 we were 10 years old! To celebrate we are baked a very special cake, Pat-A-Cake Baby was our 5th show. 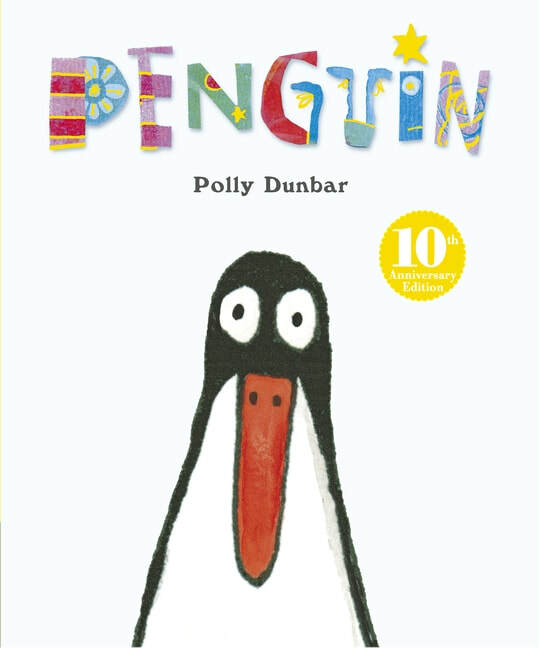 In autumn 2017 and spring 2018 Penguin was on tour to celebrate the tenth anniversary of the book. We were excited to write our own in house production of 'Out of the Hat' which was launched in 2018 and will continue to tour along side Arthur's Dream Boat into 2020. For our latest news you can follow us on Twitter, Instagram or like us on Facebook. If you would like to visit Polly's website please click below.